When your cool new generative design optimizes load bearing versus material but is cost prohibitive to 3D print in metal, think sand. All engineers are pedantic – particularly manufacturing engineers. The greatest and most innovative design in the world is destined to remain simply an idea if it can’t be manufactured efficiently, economically, and with integrity. Having been manufactured for tens if not hundreds of years, building components used in the Architectural, Engineering, and Construction (AEC) industry are produced using well learned out and cost effective processes. Even though innovative digital methods such as generative design can offer significant savings in material costs and produce revolutionary organic shapes popular with forward thinking architects, 3D printing the thousands of components necessary for a modern tensegrity structure can not only break the bank from a cost perspective but also when it comes to production lead times. 3D printing speeds have improved as the technology matures, but still does not rival traditional mass production techniques. 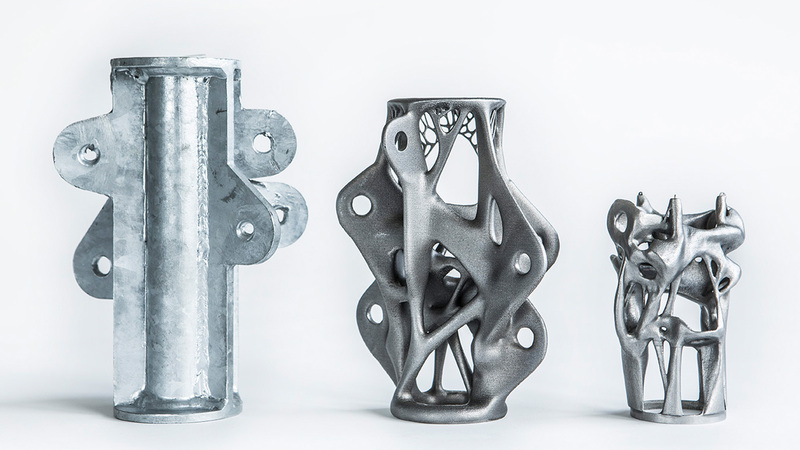 Arup – a multinational design, engineering and construction services company – working with additive manufacturing technology company 3Dealise may have found the “secret sauce” to leverage the benefits of generative design at a price point and delivery schedule amenable to the most critical of project managers. 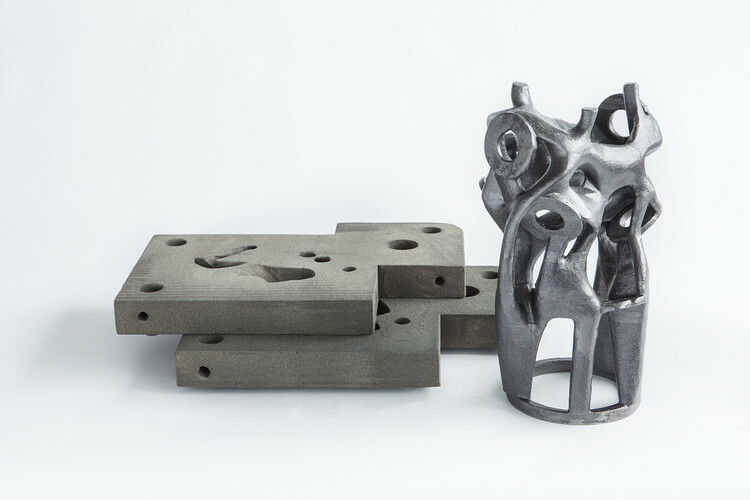 Presented at the recent TCT show in the UK, the technique involves a hybrid production method where an industrial 3D sand printer creates a sand mold for generative designed parts which are then cast in a foundry. Using this approach, the traditional design as shown to the left in the image above can be computationally optimized to the other options shown while carrying the same amount of load. Arup has reportedly achieved weight reductions of 75% with this technique at a production cost that is 90% cheaper than 3D printing metal. The collision of new ideas and methods with existing and proven techniques is always contentious. Innovation is at the heart of what engineers do, but caution is the balancing hallmark as the fruits of our labor can put people in danger. It’s exciting to see where this confluence will lead in the AEC industry. What previously unexplored knowledge will come from evolving computational methods and manufacturing techniques? Where in the world will be the next Kurilpa bridge? What applications do you see for generative design in your industry? Tell us about your quest for unconventional knowledge and what it could mean for the future of your products or companies. Share your thoughts in the comments section below and don’t forget to follow us on your favorite social media channel.